Try to fit another piece into a puzzle that has already been finished – that is how it feels when a client wants you to make ‘just a small change’ or add ‘just one more thing’ right when you think you have finished your work. 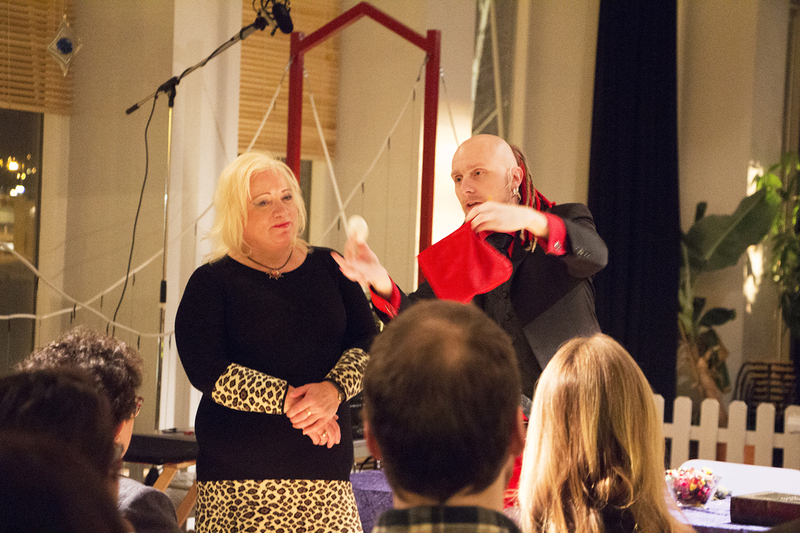 In his show, the magician Arkadia tried to illustrate what it feels like to make a living out of your creativity. 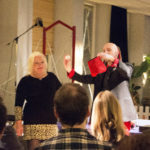 The show opened The Art of Getting Paid – the first public event (or Creative Exchange) organised in Mid-Sweden under a creative momentum project. 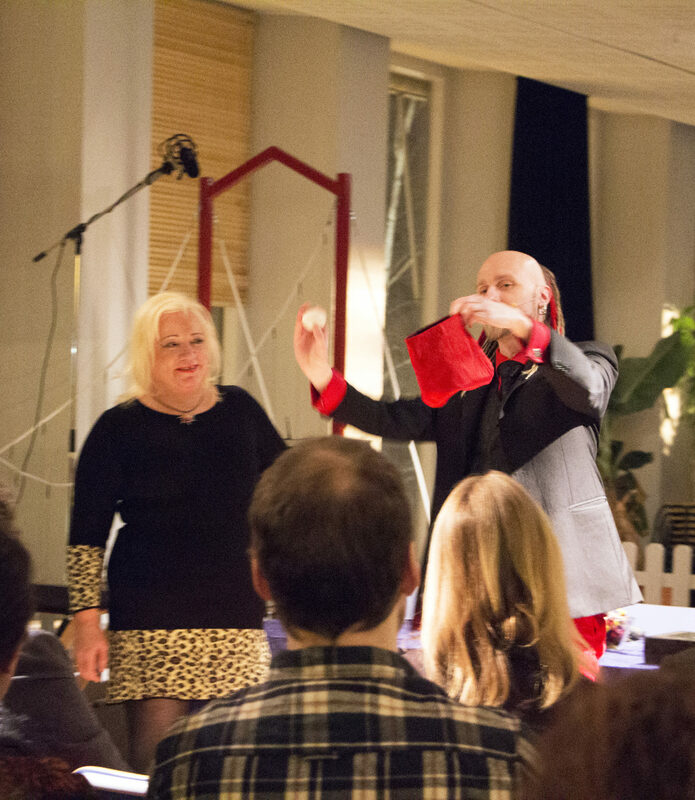 The event took place on 4 February and attracted 40 people. 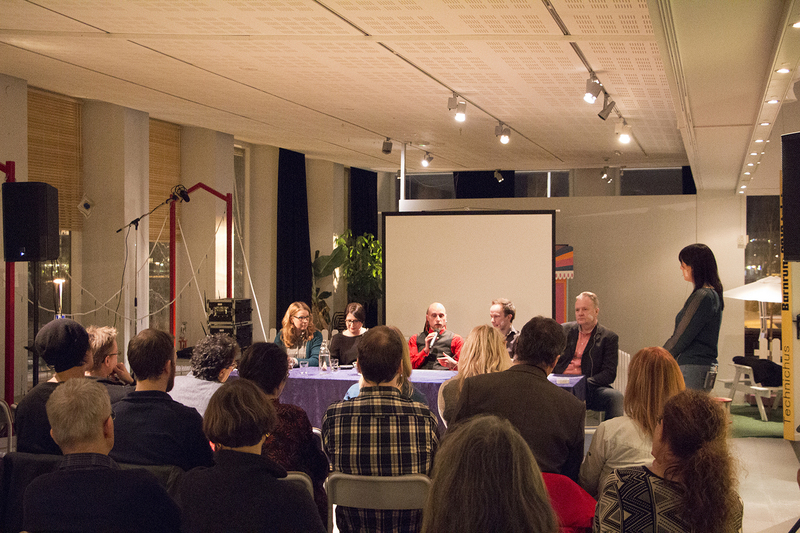 After the show, a panel of 5 people discussed the issue of getting paid properly as creatives. 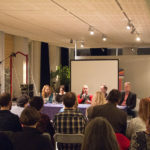 In addition to Arkadia, the panel included a programmer, an accountancy consultant, a textile designer, and a business developer. According to Ingrid Nyström – Accountancy Consultant – it is unfortunately quite common that creatives do not get paid at all. To avoid this, she suggested that creatives claim their money at regular intervals and do not leave the payment until the end, when the project is completed. Ingrid also noted that, before responding to an invitation to tender, many creative entrepreneurs would negotiate their fees downwards. A question for the panel regarded the extent to which creatives should be transparent when providing quotes for a project. There were diverging opinions. On the one hand, when creatives are too transparent, clients could ask them to ‘cut down’ important aspects of their work, just to get a cheaper price. On the other hand, however, transparency allows clients to immediately see what it is included in the price and what may come as an extra. Business Developer Anders Bosenius said that negotiation is an important word for creatives looking for contracts. 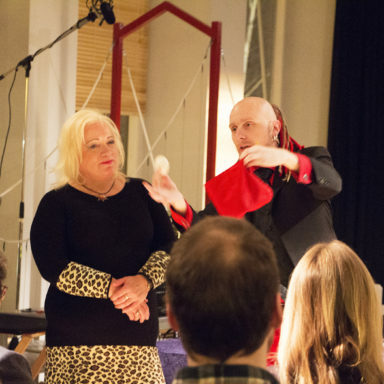 According to Anders, creatives should practice negotiation with people such as family and friends – anybody who can take it. Only when mastered, negotiation skills can be used on customers. Negotiation is really a skill that creatives should learn and become comfortable with, to avoid working too much for too little. ‘The art of getting paid’ is a challenge that needs to be discussed again and again, both to make entrepreneurs stop devaluing their work because they feel their actual fee could be considered as too high, and also to make customers more aware of what they are paying for and why.